The Laserluchs 5000 IR infrared illuminator kit is the ultimate high power IR illuminator for modern night vision. Compact and efficient, the new Laserluchs 5000IR is invisible to the human eye, and thanks to modern LED technology, 100% eye safe. 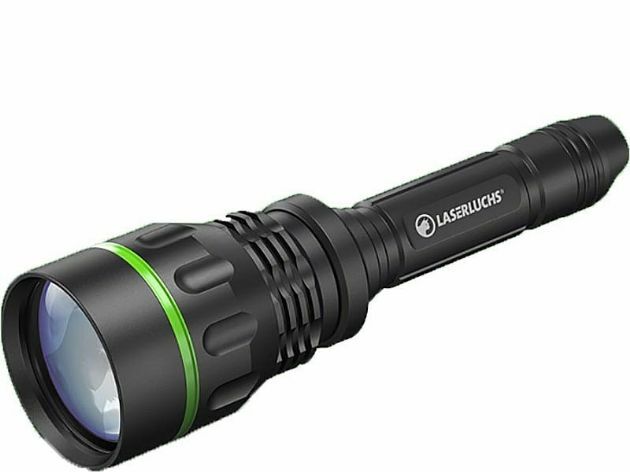 Designed for hunting, security and surveillance applications the new Laserluchs-5000 IR illuminator will provide up to 600m IR beam for night vision whether hand held or weapon mounted. Simply attach to your night vision weaver rail using a mount and you can then focus the IR illuminator to a tight collimated spot for long range shooting, or wide flood beam for spotting.